Bayer has just sued the European Commission to overturn a ban on the pesticides that are killing millions of bees around the world. A huge public push won this landmark ban only months ago — and we can’t sit back and let Big Pesticide overturn it while the bees vanish. Bayer and Syngenta, two of the world’s largest chemical corporations, claim that the ban is “unjustified” and “disproportionate.” But clear scientific evidence shows their products are behind the massive bee die-off that puts our entire food chain in peril. 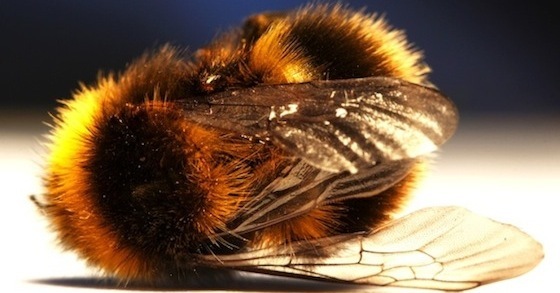 Just last month, 37 million bees were discovered dead on a single Canadian farm. And unless we act now, the bees will keep dying. We have to show Bayer now that we won’t tolerate it putting its profits ahead of our planet’s health. If this giant corporation manages to bully Europe into submission, it would spell disaster for the bees. Sign the petition to tell Bayer and Syngenta to drop their bee-killing lawsuits now. The dangerous chemical Bayer makes is a neonicotinoid, or neonic. Neonics are soaked into seeds, spreading through the plant and killing insects stopping by for a snack. These pesticides can easily be replaced by other chemicals which don’t have such a devastating effect on the food chain. But companies like Bayer and Syngenta make a fortune from selling neonics — so they’ll do everything they can to protect their profits. The EU banned these bee-killers this past May, after a massive public campaign and a clear scientific finding from the European Food Safety Authority that neonics pose huge risks to bee populations. Bayer fought against the ban every step of the way, using tactics taken from Big Tobacco — pouring millions into lobbying and fake science to stop decision-makers from taking action. Now, we have to defend this landmark ban for the bees, and our food supply. Sign the petition now to tell Bayer and Syngenta to drop their aggressive lawsuits! We have to stand up for the European ban now, from Europe and from around the world. The current ban only lasts for two years before it’s up for review, and Bayer is now determined to stop it before it even comes into force in December 2013. If it is allowed to intimidate the European authorities with impunity, then the pressure to overturn the ban will be huge. This will be a massive victory for the poison industry, and a devastating loss for the bees, and all of us. It will make every environmental regulation more difficult, because companies that can’t win on the facts can use their enormous profits to fund expensive, baseless lawsuits. SumOfUs staff and members have literally just gotten of the plane from a convention in Chicago where we took the fight for a ban in the US right to the industry itself — so we know how important it is to hold the line. Let’s build on this landmark victory and take the bee-killing pesticide ban global. She’s Alive – Beautiful – Finite – Hurting – Worth Dying for!